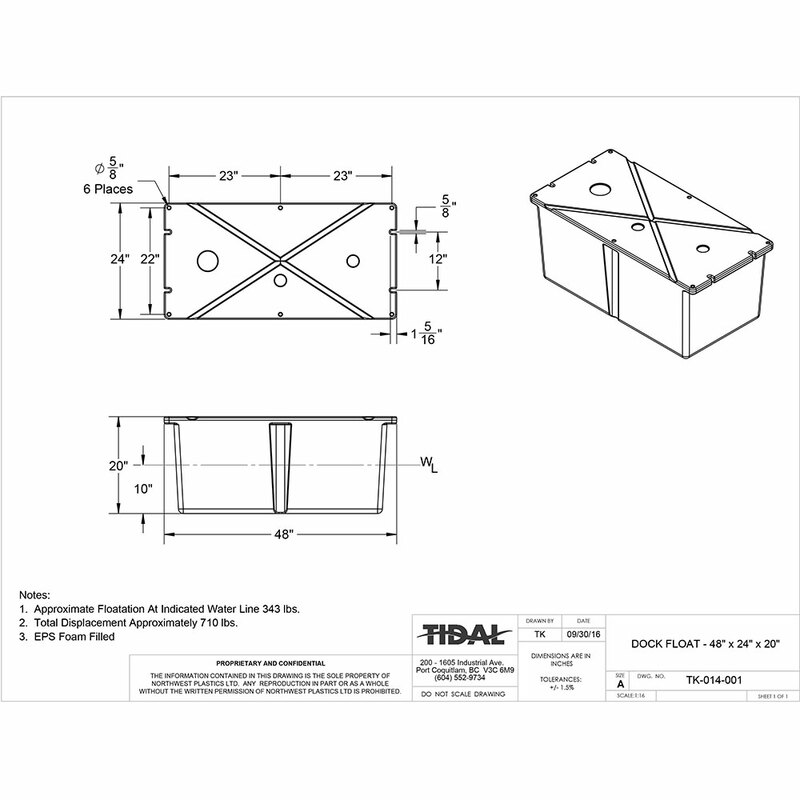 The Tidal Dock Float consists of a durable, stress free, rotationally molded polyethylene shell that is filled with expanded polystyrene foam (EPS). Lightweight and easy to handle, yet designed with the same materials that commercial aquaculture farms utilize to withstand the rigors of the West Coast environment. 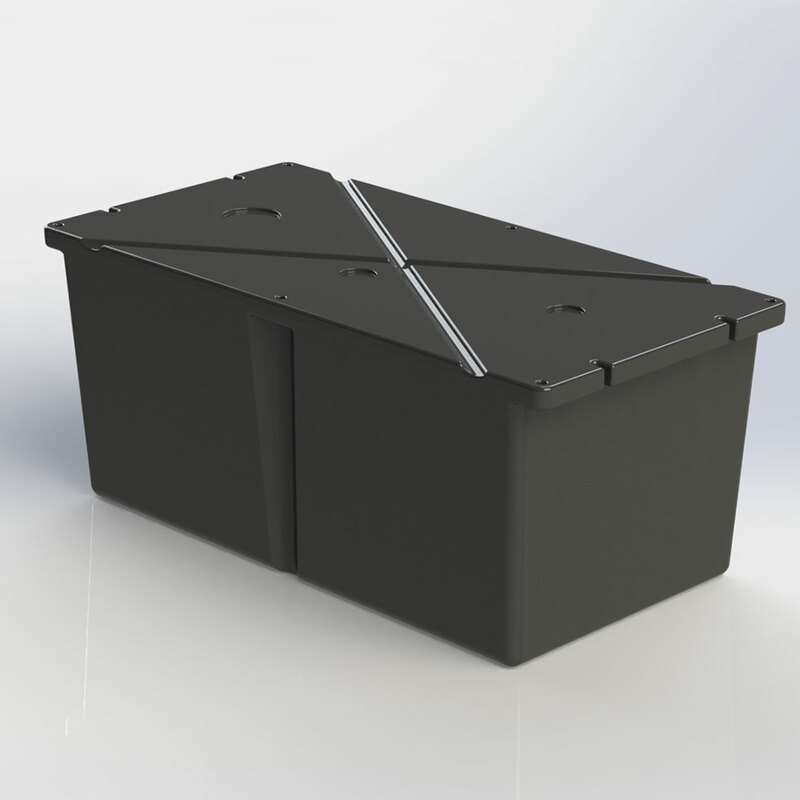 Built in attachment points make it easy to install securely and standard sizes make calculating buoyancy requirements simple for dock builders.